If you are a frustrated mapper much like myself, I recommend Illwinter without reservation. For 7 bucks, there's little risk and the results are amazing. Its cross-platform and projects using the core resources can be published commercially. Which is where Free Map Mondays comes into play. I plan on releasing a map on Mondays, every Monday. The maps will be free to use personally and commercially. 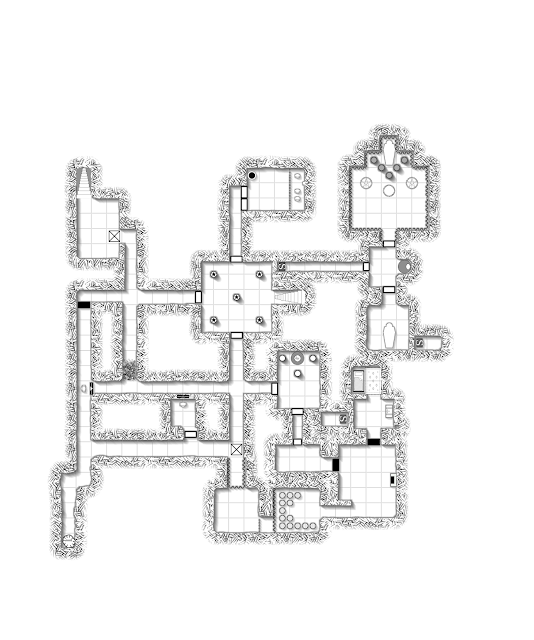 All I ask is you include the following if you use any of the free maps commercially: "Map by Erik Tenkar using Illwinter's Floorplan Generator." Or just buy the program yourself. Oh yeah, the map above is released for free commercial use subject to the above simple terms. Since we are talking about licenses, I'm interested in that mapper, but I couldn't find anything about using the generated map in commercial products. Do you know something about it? Fantastic! I missed that, thanks.